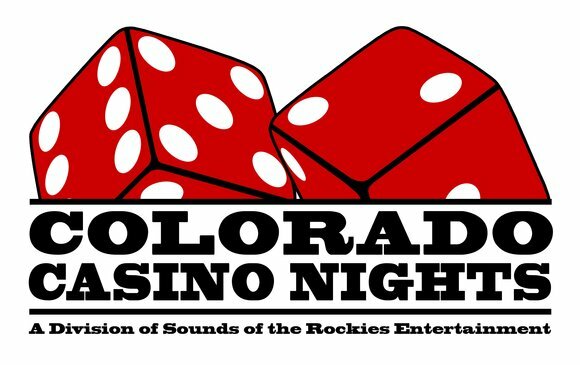 Colorado Casino Nights offer Poker - also known as Texas Hold'em. Seats 9 players and one dealer. This table is also available as an LED Poker Table! At casino themed parties, Poker is typically used to offer guests a variety of games. Poker can also be played without a full casino in a poker tournament - please ask for details! Texas Hold'em (also hold'em, holdem) is the most popular of the community card games played. It is also the most popular poker variant played in most casinos in the United States Its no-limit betting form is used in the main event of the World Series of Poker (WSOP) and the World Poker Tour. Although it can theoretically be played by up to 22 players (or 23 if burn cards are not used), it is generally played with between 2 and 10 people. It is one of the most positional of all poker variants, since the order of betting is fixed throughout all betting rounds. Hold 'em is commonly played outside of the United States, but seven-card stud, Omaha hold 'em and other games may be more popular than Texas hold 'em in some places. Like most variants of poker, the objective of Texas hold 'em is to win pots, where a pot is the sum of the money bet by oneself and other players in a hand. A pot is won either at the showdown by forming the best five card poker hand out of the seven cards available, or by betting to cause other players to fold and abandon their claim to the pot. The objective of winning players is not winning individual pots, but rather making mathematically correct decisions. As a result of making such decisions, winning poker players are able to maximize their expected utility and win more money than they lose in the long run. When only two players remain, special 'head-to-head' or 'heads up' rules are enforced and the blinds are posted differently than expected. In this case, the dealer posts the small blind, while his/her opponent places the big blind. The three most common variations of hold 'em are limit hold 'em, no-limit hold 'em and pot-limit hold 'em. Limit hold 'em has historically been the most popular form of hold 'em found in casino live action games in the United States. In limit hold 'em, bets and raises during the first two rounds of betting (pre-flop and flop) must be equal to the big blind; this amount is called the small bet. In the next two rounds of betting (turn and river), bets and raises must be equal to twice the big blind; this amount is called the big bet. No-limit hold 'em is the form most commonly found in televised tournament poker and is the game played in the main event of the World Series of Poker. In no-limit hold 'em, players may bet or raise any amount over the minimum raise up to all of the chips the player has at the table (called an all-in bet). In pot-limit hold 'em, the maximum raise is the current size of the pot. Play begins with each player being dealt two cards face down. These cards are the player's hole or pocket cards. These are the only cards each player will receive individually, and they will only (possibly) be revealed at the showdown, making Texas hold 'em a closed poker game. The hand begins with a "pre-flop" betting round, beginning with the player to the left of the big blind (or the player to the left of the dealer, if no blinds are used) and continuing clockwise. A round of betting continues until every player has either folded, put in all of their chips, or matched the amount put in by all other active players. See betting for a detailed account. Note that the blinds are considered "live" in the pre-flop betting round. After the flop betting round ends a single community card (called the turn or fourth street) is dealt, followed by a third betting round. A final single community card (called the river or fifth street) is then dealt, followed by a fourth betting round and the showdown, if necessary. If a player bets and all other players fold, then the remaining player is awarded the pot and is not required to show his hole cards. If two or more players remain after the final betting round, a showdown occurs. On the showdown, each player plays the best five-card hand he can make from the seven cards comprising his two hole cards and the board (the five community cards). A player may use both of his own two hole cards, only one, or none at all, to form his final five-card hand. If the five community cards form the player's best hand, then the player is said to be playing the board and can only hope to split the pot, since the other player can also use the same five cards to construct the same hand. The best possible hand given the five community cards is referred to as the nuts. For example, on a board such as 2-3-7-8-Q, with no more than two cards of any one suit, the nuts is three queens. With those community cards, a player holding two queens could not be beat at the showdown by any player. Alternatively, with the hand as 2-4-7-8-Q, the nuts would be a straight, or hole cards of 5-6. 4? K? 4? 8? 7? Flop: Alice now deals the flop of three face-up community cards, 9? K? 3?. On this round, as on all subsequent rounds, the player on the dealer's left begins the betting. In this case it is Bob who checks. Carol opens for $2, Ted has already folded and Alice raises another $2 (puts in $4, $2 to match Carol and $2 to raise), making the total bet now facing Bob $4. He calls (puts in $4, $2 to match Carol's initial bet and $2 to match Alice's raise). Carol calls as well, putting in her $2. The pot now contains $18, $6 from the last round and $12 from three players this round. Turn: Alice now deals the turn card face up. It is the 5?. Bob checks, Carol checks, and Alice checks; the turn has been checked around. The pot still contains $18. River: Alice deals the final river card, the 9?, making the final board 9? K? 3? 5? 9?. Bob bets $4, Carol calls, and Alice folds (Alice's holding was A? 7? ; she was hoping the river card would be a club to make her hand a flush). Showdown: Bob shows his hand of Q? 9?, so the best five-card hand he can make is 9? 9? 9? K? Q?, for three nines, with a king-queen kicker. Carol shows her cards of K? J?, making her final hand K? K? 9? 9? J? for two pair, kings and nines, with a jack kicker. Bob wins the showdown and the $26 pot. At the moment, Bob is in the lead with a hand of Q? Q? 8? 8? K?, making two pair, queens and eights, with a king kicker. This beats Carol's hand of Q? Q? 8? 8? 10? by virtue of his king kicker. Both Alice and Ted are hoping the final card is a club, which will make them both a flush, but in that case, Ted would have the higher flush and win the showdown. For example, if the final card was the 7?, Ted's flush would be Q-J-7-4-2, while Alice's would be Q-10-9-7-4. Alice could still win, though, if the final card were any of the three remaining jacks, as that would give her a queen-high straight. On this deal, however, the final card was the A?, which did not help either of them. Bob and Carol still each have two pair, but notice what happened: both of them are now entitled to play the final ace as their fifth card, making their hands both two pair, queens and eights, with an ace kicker. Bob's king no longer plays, because the ace on the board plays as the fifth card in both hands, and a hand is only composed of five cards. They therefore split the pot. There are (52 × 51) ÷ 2 = 1,326 distinct possible combinations of two hole cards from a standard 52-card deck. Because no suit is more powerful than another, many of these can be equated for the analysis of starting-hand strategy. Viewed this way there are only 169 different hole-card combinations. Thirteen of those hands would be pairs, from 2 through ace. There are 78 ways to have two cards of dissimilar rank (12 possible hands containing an ace, 11 possible hands containing a king and no ace, 10 possible hands containing a queen and no ace or king, etc.). Hole cards can both be used in a flush if they are suited, but pairs are never suited, so there would be 13 possible pairs, 78 possible suited non-pairs, and 78 possible unsuited non-pairs, for a total of 169 possible hands. As an example, although J? J? and J? J? are distinct combinations of hole cards, they are indistinguishable as starting hands. Any starting hand comprising two jacks is called pocket jacks and is denoted JJ. Similarly, any starting hand comprising two aces is called pocket aces and is denoted AA, and any starting hand comprised of two sevens is called pocket sevens and is denoted 77. Each of these starting hands is called a pocket pair or a wired pair. The starting hands which are not pocket pairs fall into two classes—the suited hands and the unsuited hands. An example of a suited hand is 8? 7?. Any starting hand comprised of an 8 and a 7 of the same suit is called 8-7 suited and is denoted 87s, where "s" is an abbreviation for "suited". An example of an unsuited hand is Q? 9?. Any starting hand comprised of a queen and a nine of different suits is called queen-nine offsuit and is denoted Q9 (or sometimes Q9o, where "o" is an abbreviation for "offsuit"). Remember, an "s" always denotes a suited starting hand, while the absence of an "s" always denotes an offsuit starting hand. In almost all poker writing, the rank of 10 is abbreviated with the letter "T", so that all the ranks can be written with a single character, unless cards are featured pictorially when "10" is often used. Also, the letter X is often used to denote a card whose rank is irrelevant to the discussion at hand; for example, "AXs" would mean an ace along with another card of the same suit whose rank is unspecified. Consecutive cards of the same suit are called suited connectors. Many starting hands have colloquial names. See also List of slang names for poker hands. Most poker authors recommend a tight-aggressive approach to playing Texas hold 'em. This strategy involves playing relatively few hands (tight), but betting and raising often with those that one does play (aggressive). Although this strategy is often recommended, some professional players successfully employ other strategies as well. In his book Super/System, Doyle Brunson described his style of play as slightly looser than the usual pro. Ultimately, Brunson stressed aggression as being the basis of his success spanning over fifty years. While most poker authors focus on playing primarily premium starting hands, some authors claim that the importance of starting hands is overstated. Almost all authors agree that position is an important element of Texas hold 'em strategy, particularly in no-limit hold'em. Players who act later have more information than players who act earlier. As a result, players typically play fewer hands from early positions than later positions. One attempt to develop a quantitative model of the game as an isolated complex system has had some success,  although the full consequences for optimal strategies remain to be explored. The no-limit and fixed-limit versions of hold 'em are strategically very different. Doyle Brunson states, "In fact, the games are so different that there are not many players who rank with the best in both types of hold 'em. Many no-limit players have difficulty gearing down for limit, while limit players often lack the courage and 'feel' necessary to excel at no-limit." Because the size of bets are restricted in limit games, the ability to bluff is somewhat curtailed. Since one is not (usually) risking all of one's chips in limit poker, players are sometimes advised to take more chances. Lower stakes limit games also exhibit different properties than higher stakes games. Small stakes games often involve more players in each hand and can vary from extremely passive (little raising and betting) to extremely aggressive (many raises). The difference of small stakes games have resulted in several books dedicated to only those games. Texas hold 'em is often commonly associated with poker tournaments largely because it is played as the main event in many of the famous tournaments, including the World Series of Poker's Main Event. A vast majority of poker tournaments play No-limit Texas hold'em. Traditionally, a poker tournament is played with chips that represent a player's stake in the tournament. Standard play allows all entrants to "buy-in" a fixed amount and all players begin with an equal value of chips. Play proceeds until one player has accumulated all the chips in play. The money pool from the players "buy-ins" are redistributed to the players in relation to the place they finished in the tournament. Usually only a small percentage of the players receive any money, with the majority receiving nothing. As a result the strategy in poker tournaments can be very different from a cash game.